COCKBURN City Council has voted to support Murdoch Chase residents, publicly concurring they should have been consulted about the State Government’s plan for a Murdoch Drive connection. The council on Thursday night agreed it would write to the Transport Minister about the residents’ concerns, but also made clear its in-principle support for the extension that will link Murdoch Drive to Roe Highway. * acknowledge in-principle support for the construction of the Murdoch Drive Connection, which is designed to improve access to the Murdoch Activity Centre. * seek legal and technical advice on a possible amendment to the Environment Protection Authority’s approval in 2015 to remove the Roe 8 extension. * write to the WA Transport Minister expressing concerns raised by residents over the process of public consultation. Representatives of both the Murdoch Chase and Bibra Lake residents associations filled the public gallery to debate the consultation process during public question time at the meeting. Murdoch Chase Residents Association representative Jill Reid said the approved concept plan put forward in February by the State Government was vastly different to those previously released publicly. 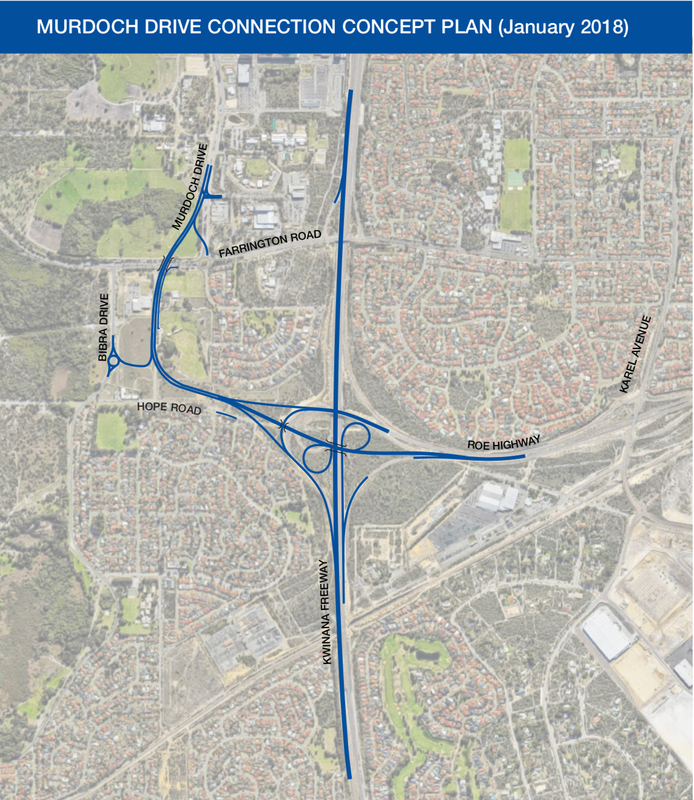 “The new plan removed our direct northbound access to Murdoch Drive,” she said. Ms Reid said the new plan would increase travel distance for residents in the Murdoch Chase area to Fiona Stanley from 1.4kms to 3.8kms and as direct stakeholders they should have been consulted about the process. “Any suggestion that our travel times will decrease because of the Murdoch Drive Connection Project is forcing a solution at the roundabout is insulting,” she said. She urged the City to stand with its residents and advise Main Roads WA that residents should have been consulted. Bibra Lake Residents Association secretary Michelle Barnett believed the City had communicated effectively and thanked Crs Philip Eva and Sands for their work. “As a community group we think the City has forwarded and communicated effectively all relevant information regarding the project,” she said. Cr Smith said everyone appreciated the Murdoch Drive Connection provided a vital link to Fiona Stanley and St John of God hospitals and the connection formed part of a $2.3 billion package of road and rail infrastructure works, funded by the Australian ($1.6b) and State ($750m) Governments, announced by the Premier in May 2017. “It’s something we agree with whether we are from the Bibra Lake Residents Association or Murdoch Chase or across the City,” she said. “The City also acknowledge the project has been planned in various forms for more than 10 years and is required to reduce congestion, provide better access to Fiona Stanley Hospital and help the Murdoch Activity Centre (MAC) meet its economic potential as a major employment and research centre. “However, since the announcement of the State Government’s preferred option in January there has been an undeniable increase and concern raised by residents across all wards of Cockburn over the consultation in the lead up to the final concept design. “There’s been more questions than consensus. “We are answerable to ratepayers not the State Government and we have shown this time and time again. Ms Reid said the group was pleased the City, by overwhelming majority, did not endorse the current road design and would stand with its residents to express concern for the consultation process. “Our community is ready to consult and help make the Murdoch Drive Connection a key access route into the Murdoch Activity Centre,” she said. Cr Michael Separovich was the only one to vote against the alternate motion.